Last week began the new course at UGPM. 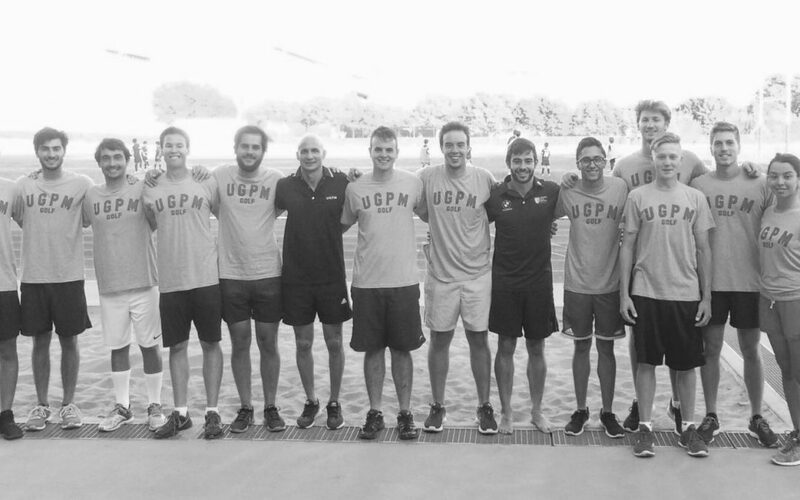 As usual, during this initial two weeks of the course we focus on making sure that our rookies (Alba, Cabanes, Ryan, Elias and Manuel) adapt quickly to university life and making an initial assessment of our players including technical, physical and mental areas. The UGPM team for this season is composed by: Victor Pastor (Psychology 3º), Roberto Rivas (Business, 3º), Ignacio Fons (Master), Juan Muñoz (Business 2º), Christian Asensio (Business 2º), Andrea Gobbato (Business 2º), Costantino Peruzzi (Sports Sciences 2º), Alba Gonzalez (Chemistry 1º), Elias Azzam (Business 1º), Manuel Geiger Business 1º), José María Cabanes (Mechanical Engineering 1º) and Ryan Henn (Foundations year). An exciting year is ahead of us and surely it will bring many academic and sporting success for our players … will keep you informed, stay tuned!